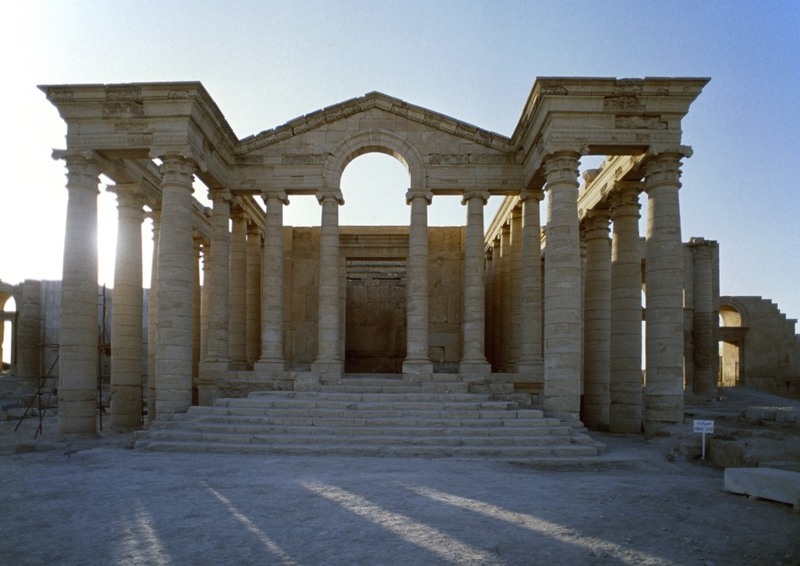 The ancient 3rd century BC temple complex of Hatra in NW Iraq, is now at risk after being taken over by ISIS in June 2014. 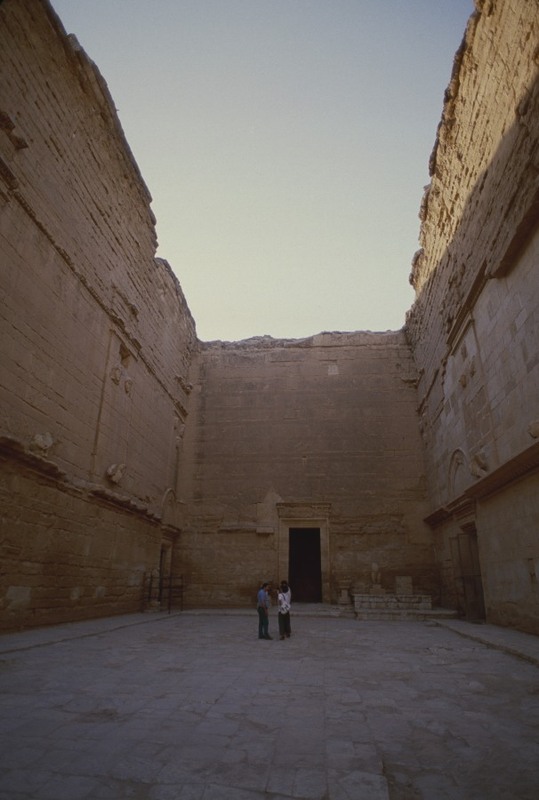 Its unique features contain a vast network of 200-ft high sun-god temples, mainly dedicated to the Sun God Shamash. 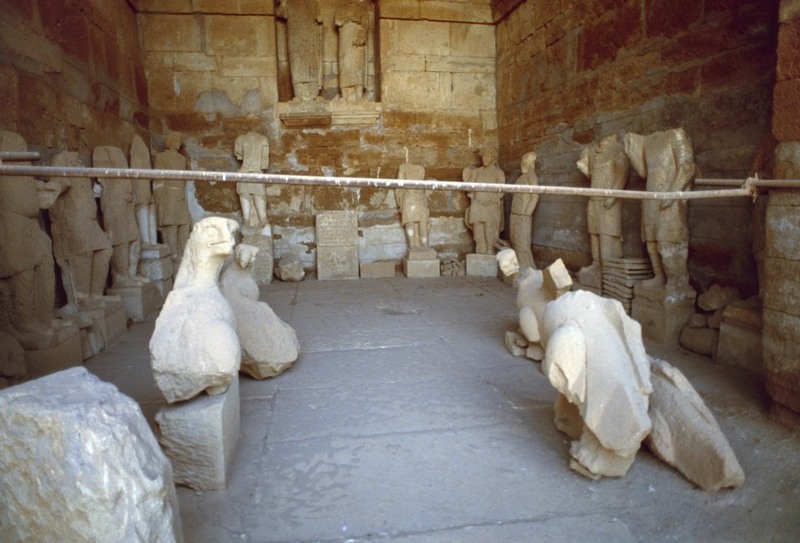 Dating to the 3rd century BC, its vast number of masks and statuary adorn its vast limestone and gypsum walls. 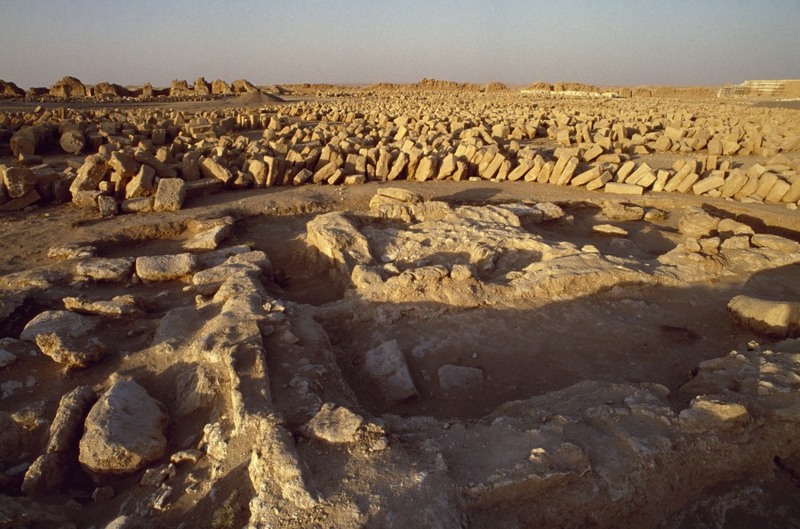 US troops from the 2-320 Field Artillery Regiment guarded it after Saddam’s Fall. CNN’s Ben Wedeman recently reported that ISIS is using it to store weapons and ammunition and to train fighters. 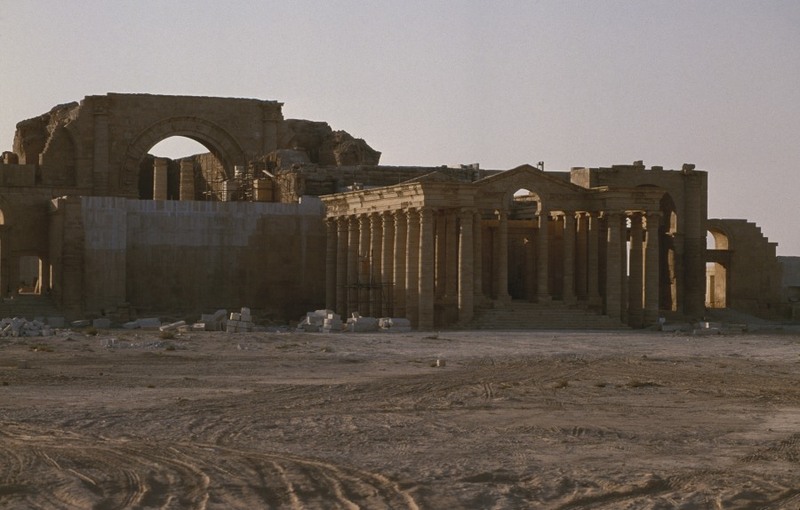 UNESCO has sounded the alarm over the World Heritage Site of Hatra and other sites in Iraq. 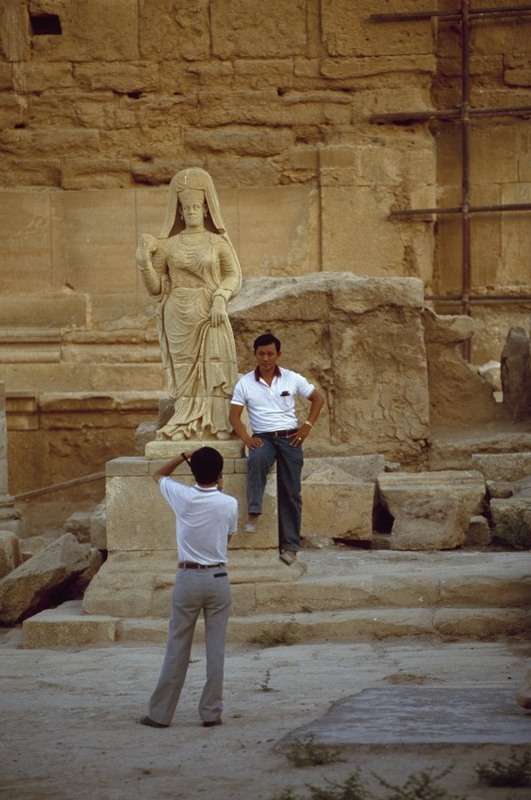 It was during our exclusive story for TIME Magazine in 1989 onThe Gold of Nimrud, that Bill Dowell (left), and I did the side-trip to Hatra on our way back to Baghdad from Mosul. 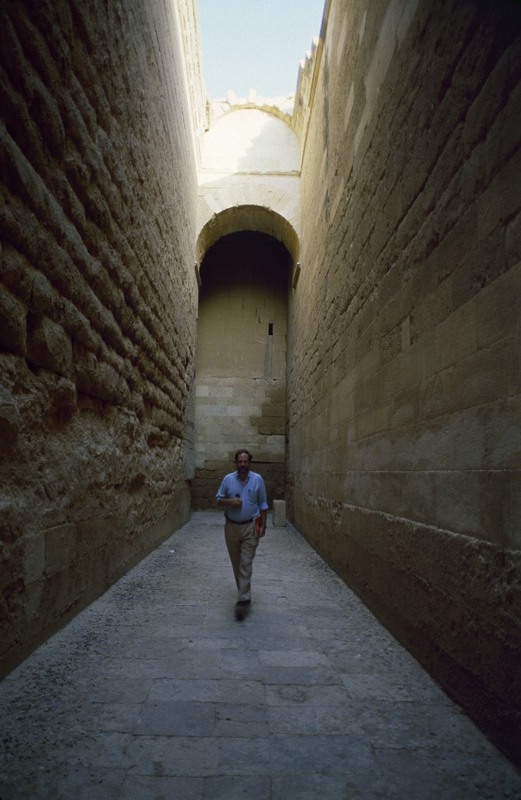 Barry Iverson is a former TIME Magazine photographer. His work has also been published in such wide-ranging publications as National Geographic, New York Times, Life, People, Geo, Paris Match and Stern.